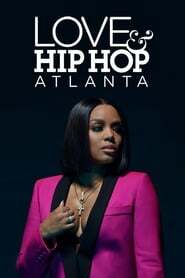 overview : Love & Hip Hop: Atlanta is the Atlanta based spin-off of Love & Hip Hop. It premiered on June 18, 2012, on VH1 and chronicles the lives of several women who are involved with hip hop. The second season premiered on April 22, 2013, with new cast members: Atlanta DJ and radio personality Traci Steele plus DJ Babey Drew, Traci's ex and father of their son Little Drew.